Sometimes you feel like a nut, and sometimes you dress like one. Some say pistachios are the king of all nuts, and if you're looking at this costume you might just agree. The light salty flavor. The unique, green color. 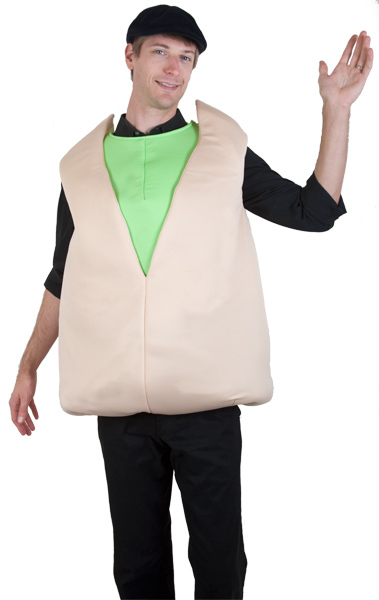 Everything about the pistachio is a winner and this adult sized costume is sure to be a hit at any costume party. Our pistachio costume is one piece and comes with green center and brown sides.